Week 3 has been a tough one. Mostly because I at this point in the month, the things I have been putting off are starting to catch up with me. I needed to mail a package that had been sitting on my kitchen table since.. I don't know when. 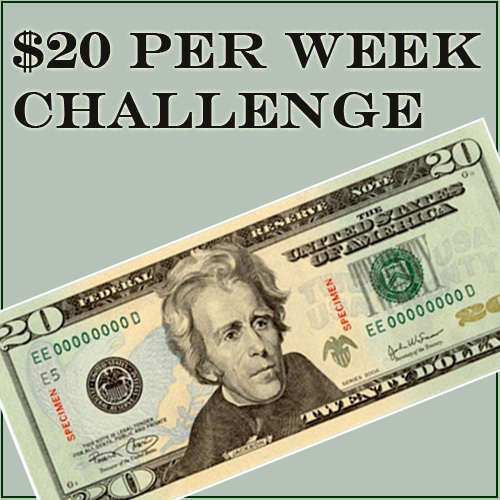 I am learning that $20 is the bare minimum I need to live on without including anything extra. $20 basically covers perishable food and nothing else. So what happens when extra costs pop up? I knew it was going to be ugly. So here is how the costs broke down this week. I am sad to report that this week I went into the red. At this point I am already over budget by $3 but have run out of milk and I know I cannot make it to Sunday without it. I decided to "overdraw my account" and start next week with even less money. So next week I am already starting off $6.11 in the hole AND my car is in desperate need of gas. Nobody said this was going to be easy. At this point I just want this experiment to end. I have a new appreciation for people who live on a really tight budget. It really is life changing. Let me know if you need me to send you a can or two of beans next week! 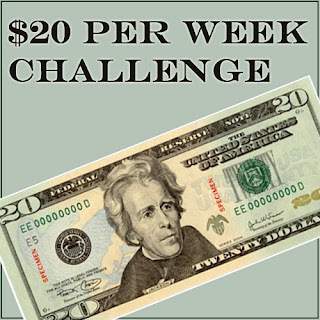 Wow - you're doing so well I think1 How long are you doing this challenge for? Alyssa- I am only going for one month. I have to make it till the end of January! I've been trying to do no credit card, cash only lately but...I don't have to count gasoline or all groceries. Right now gas is way over $4. The other day we drove PCH (Pacific Coast HWY to non-locals)to my step-sisters in Malibu..major ouch!!! Premium is $4.79 and they probably need to spend at least 4 gallons to get to the closest gas station. We live on the other side of the mountain ..in the Valley. My husband drives 50 miles to work and 50 home so our largest, non-mortgage bill is gasoline. I admire how you're trying to stay within a budget though.